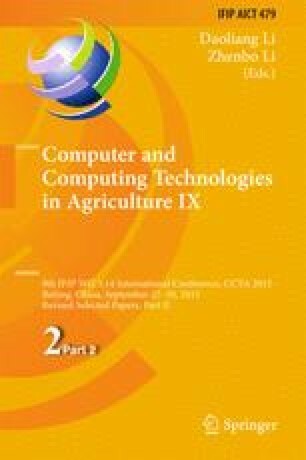 The study provides insights into the perceived risk in the course of farmers’ agriculture information adoption in China. The information perceived risk model is gotten with the approach of the factor analysis and six aspects constitute the model. The regression equation of farmers’ information perceived risk is obtained with the multiple regression analysis in this research. The results show that there are many aspects that farmers consider about when they are applied with new agricultural information and technologies, and information service departments may pay more attention to those especially.